D. Christopher Brooks serves as a Senior Research Fellow for the EDUCAUSE Center for Analysis and Research, or ECAR, (http://www.educause.edu/ecar). Prior to joining ECAR in December 2013, Dr. Brooks served as a Research Associate in the Office of Information Technology at the University of Minnesota where he researched the impact of educational technologies and Active Learning Classrooms (ALCs) on teaching practices and learning outcomes, completion rates and the impact of MOOCs on student learning, and evaluating blended learning environments. His research appears in a range of scholarly journals including the British Journal of Educational Technology, EDUCAUSE Quarterly, the International Journal for the Scholarship of Teaching and Learning, The Journal of College Science Teaching, Evolution, the Journal of Political Science Education, and Social Science Quarterly, and in the edited volume Blended Learning: Research Perspectives, Vol. 2. 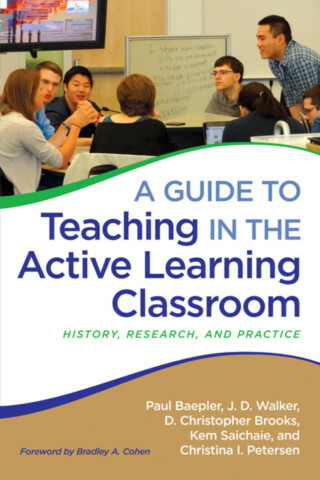 His co-edited volume of New Directions for Teaching and Learning on Active Learning Spaces was published 2014. Christopher earned his Ph.D. in Political Science from Indiana University in 2002. He has taught courses in comparative politics and political theory at Indiana Purdue Fort Wayne (IPFW), St. Olaf College, and the University of Minnesota.